Global Photos From The 2018 iPhone Photography Awards Contest : Goats and Soda A selection of the winning photos from the 2018 iPhone Photography Awards contest. 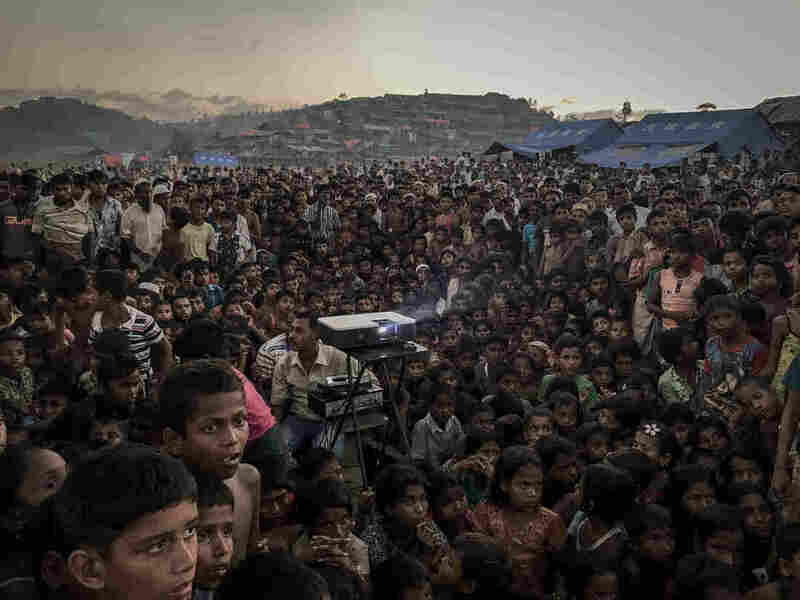 Rohingya refugees watch a film about health and sanitation in a camp in Bangladesh. On Wednesday, the winners of the annual contest, now in its 11th year, were announced. 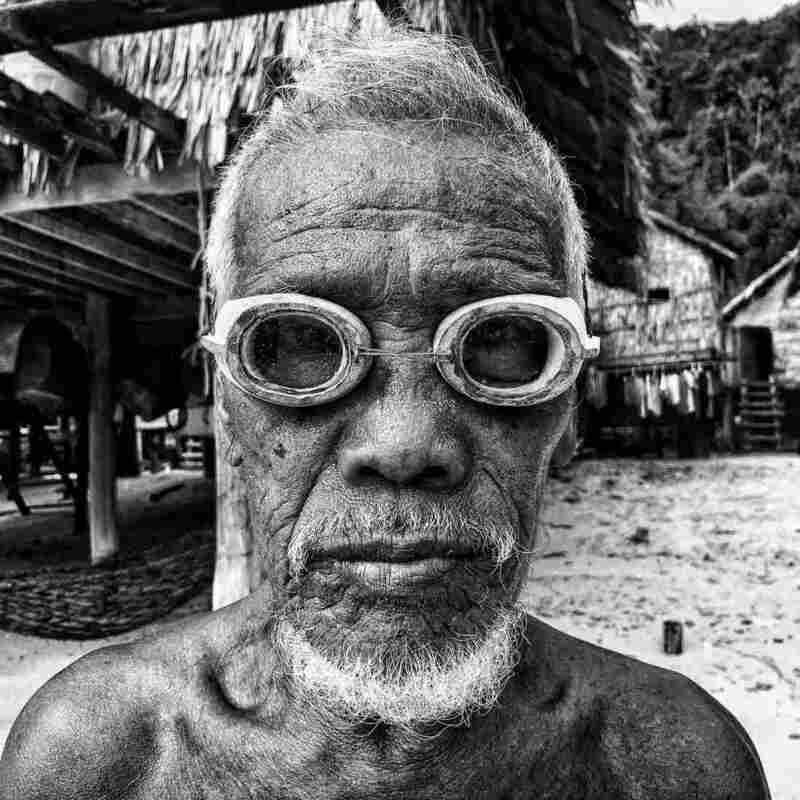 Photographers in 140 countries submitted thousands of entries in 18 categories, taken either with an iPhone or iPad. The images could not be altered with a desktop filter or Photoshop. Many of the winning photos touch on the global issues and cultures that we cover on this blog. A Brazilian woman in a bright yellow traditional dress, standing at the doorway of a sky-blue building, was among the winners. The photographer is Alexandre Weber of Switzerland. Another winning photo, taken by Zarni Myo Win, shows a street boy in Myanmar who lost his leg. He watches his friends play soccer on a patch of dirt. The winning photos are very much in line with a trend that Kenan Aktulun, founder of the contest, has observed with iPhone photography. "People are more aware of what's going on in the world and the changes that are happening around them," he says. 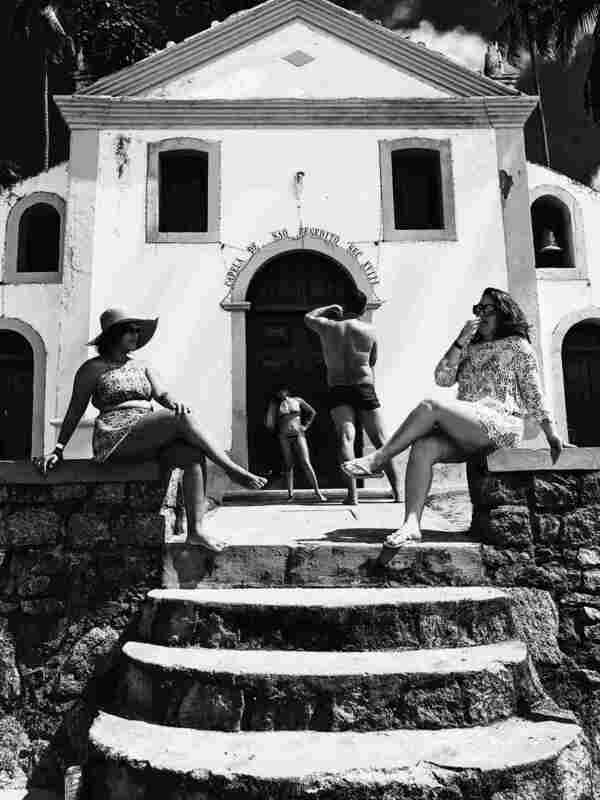 "It's less about food and selfies and more about ... What is going on? What do I care about? 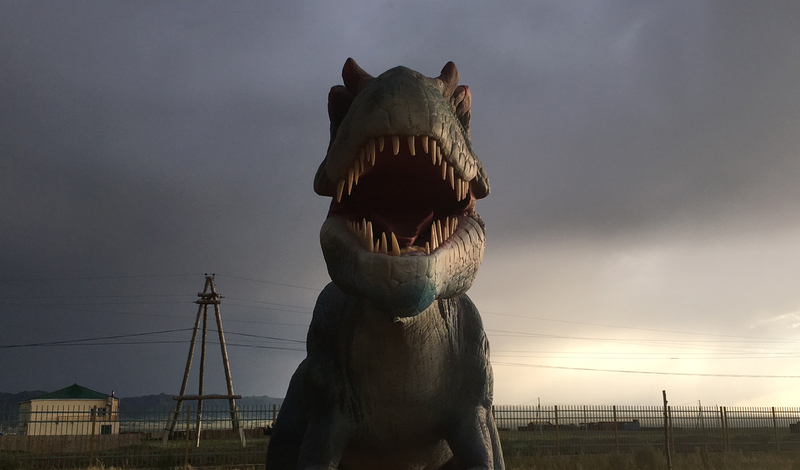 A fake dinosaur is a tourist attraction on the Silk Road in Mongolia. During a lull in the bombings, Syrians in the city of Douma gather for the evening meal at the end of a Ramadan fast.